The Defense Information Systems Agency seeks information on potential industry sources of a signatureless endpoint protection technology designed to prevent and detect malicious software using an artificial intelligence or a machine learning method. 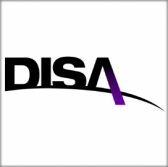 A FedBizOpps notice posted Wednesday DISA looks for an SEP system that can analyze malware at micro levels, operate on air gapped networks and predict threat instances. The agency plans to evaluate and compare multiple signatureless endpoint offerings with existing cybersecurity tools. The sought system should employ a local detection engine, operate in open and isolated network environments and independent of constant cloud connection and updates. Target client systems listed in the notice are Microsoft Windows server and desktop; Linux and MAC. Responses are due Sept. 26.